Abuja — The Nigerian Civil Aviation Authority (NCAA) has threatened to deal decisively with aircraft owners on private operator licence who use their equipment to conduct illegal charter operations. NCAA said any operator caught henceforth engaging in such unauthorised services would have its Air Operator Certificate (AOC) suspended or revoked. The regulatory authority, therefore, reminded the various stakeholders that the holders of Air Transport Licence (ATL) and Airline Operating Permit (AOP) with valid AOC are the only authorised operators to carry out charter operations. According to a statement issued yesterday by the spokesman of the agency, Mr. Sam Adurogboye, this is in line with the NCAA statutory responsibilities of safeguarding the interest of the general public and that of the investors in the aviation sector. He said the Nigerian Civil Aviation Regulations (Nig.CARs) 2015 Part 18.2.3.1 states, "No person shall use any aircraft in Nigeria for hire and reward in public transport category to provide non scheduled or charter air service unless such a person holds an ATL or Airline Operating Permit (AOP) issued by the authority." Adurogboye said for the purpose of verification and authentication, the list of current holders with appropriate authorisation to carry out Charter Operations can be found on the NCAA website. "It, therefore, follows that any member of the public transacting business with any unauthorised operators will be doing so at a high risk as such operations may not have valid insurance cover," he said. However, THISDAY investigations revealed that the warning is not unconnected with the high demand for charter services at relatively high cost by political parties campaigning for next month's elections. THISDAY gathered that there is insufficient aircraft for charter and this has provided opportunity for those who have private jets to give them out for charter services at about N1 million per hour. It was learnt that financial commitments such as parking charges, fueling, remuneration for cabin crew, funding cabin crew training and aircraft maintenance have become a huge drain pipe to private jet owners. The development, it was gathered, has forced private jet owner to give out his aircraft for charter services in order to earn revenue. From such earnings, he will be able to pay his crew, maintain the aircraft, pay for obligatory charges and possibly earn a profit. But according to the 2006 Nigerian Civil Aviation Act, operating a charter service has a different procedure. For instance, the owner of the aircraft must attach it to an operator that has Air Operator Certificate (AOC); he must pay five per cent charges to the NCAA from his earnings and five per cent Value Added Tax (VAT). The presidential candidate of the Peoples Democratic Party (PDP), Alhaji Atiku Abubakar, has urged Nigerians not to allow President Muhammadu Buhari to manipulate their votes in the February 16 presidential election. 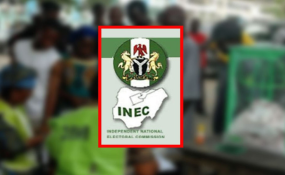 This came as the All Progressives Congress (APC) yesterday expressed support for the steps rolled out by the Independent National Electoral Commission (INEC) in preparations for the forthcoming general elections. The PDP presidential candidate alleged that the desperate attempts by the Buhari presidency to manipulate the electoral process, including the foisting of his relation as the head of the collation center for presidential election results, as well as hounding of judicial officers, are all geared towards Buhari's plans to manipulate votes in the election. Atiku stated this, according to a statement yesterday by the Director of Media and Publicity of his campaign organisation, Mr. Kola Ologbondiyan, at an interactive session with some youth groups, social media influencers and bloggers in Abuja, stating that the Buhari administration has wrecked the nation and must be voted out for the nation to thrive again. He quoted Atiku to have said, "President Buhari has [taken] your jobs. He has (taken) your rights. Don't let him (manipulate) your votes. They are preparing the ground to (manipulate) your votes. I know that Nigerians are ready to Get Nigeria Working Again, but don't let President Buhari (manipulate) your votes." Atiku said Nigeria had never been in such a bad shape as it is today, not even during the civil war. "Things are really bad. We have never had the economy this bad and the nation has not been as insecure as we are under the Buhari administration. That is why we all must work together to rescue our nation and make it work again," he said. Meanwhile APC said yesterday that it supports the steps rolled out by INEC in its preparations for the forthcoming general elections. About 61 opposition political parties had rejected some provisions of the draft guidelines released by INEC last week, insisting that it fell short of expectations. The spokesman of the Coalition of United Political Parties (CUPP) and National Chairman of the Action Peoples Party (APP), Mr. Imo Ugochinyere, said the parties demand the retention of 2011 and 2015 guidelines on separate accreditation time and separate voting time to forestall rigging. Ugochinyere further said that opposition parties want the announcement of accreditation figures by 12 noon on election day and recorded in a signed form and given to party agents before voting starts to forestall doctoring of election figures during collation. He also said that political parties wanted the stoppage of PVC collection 10 days to election and disclosure of the total number of PVC collected on polling unit basis to political parties. The CUPP spokesman added that the parties rejected the clauses in the guideline, which allows unduly accredited voters to vote especially, the clause that allows voters with PVC, whose name is not in the register of voters to vote. However, while speaking on the guidelines issued by INEC for the general elections, the National Publicity Secretary of the APC, Mallam Lanre Isa-Onilu, said the party had gone through it and has no objections on any of the provisions. He said, "For us in the APC, we have confidence in all the institutions of government, including INEC. The guidelines provided by INEC, we know a lot of thought must have gone into it, and we are confident that they are doing the best that they can; and that anything that will support free and fair election, that will make our polls to be credible, we are completely in support of it. "So we are both in the habit of trying to fish out problems. We are in support of any action being proposed by the commission geared towards strengthening our democracy. We are very supportive of that and we don't have any problems about as far as APC is concerned." On the issue of conditions spelt out for the use of Incidence Forms by INEC in the general elections, the APC spokesman said, "The ruling party is not surprised because the only thing that PDP doesn't kick against is corruption. "Is there anything PDP has not kicked against, the only thing they don't kick against is corruption. They kick against everything that government does. For us in the APC, we know that progressively INEC is getting better because the right environment has been provided for them to be able to conduct credible elections. "In the over 90 elections that INEC has conducted, since the APC-led administration campaign came into being, all have shown that the commission is independent. So we will encourage them to continue to do the best they can and as a party we will always abide by the rules."